We welcome new staff and their stellar sushi. We are combining an excellent sushi menu with Hana Bistro’s Chinese and Pad Thai to give you the most popular crowd-pleasers. If you don’t see what you love on the menu, give us a call and we’ll try to make it for you!! Located in the heart of 50th & France, Hana Bistro serves delicious Asian foods that guests will want to return to week after week. Hana Bistro serves delicious Chinese, Japanese, and other Asian dishes made with the freshest ingredients. Savor our sushi, sashimi, and maki handrolls or delight your senses in our Pad Thai or Pho noodle soup just to name a few menu items. Our Chinese dishes are crafted with combinations that will keep you coming back for more. Pick-up, delivery, or dine-in. Enjoy a glass of something delicious while you wait for your pick-up. Order online or call ahead for delivery -- life is busy and we'll power you up so you'll be ready. Take a break, dine-in, and we'll do the dishes for you. Hana Bistro's interior is modern and reflects the hip sensibilities of the surrounding areas of Edina and SW Minneapolis. Got food allergies or preferences? We understand and happily accommodate as our sauces and entrees are made by scratch. 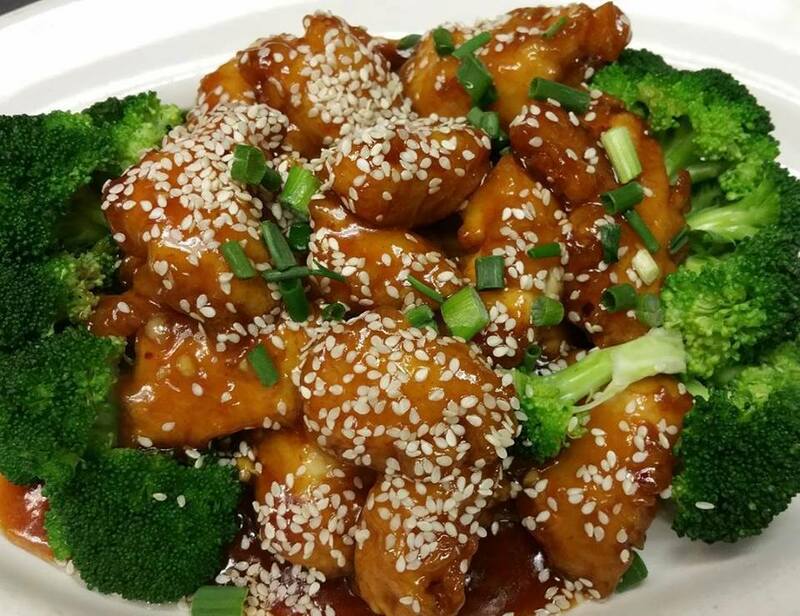 Even 95% of our Chinese entrees can be made gluten-free (and taste amazing)! Now Serving Wine, Beer, Sake! Call the restaurant 612-315-3992 if you're interested in a roll not listed here. Also check out Hana Bistro's Specialty Rolls. avocado, cucumber, cilantro, slivers of carrot and crispy green lettuce served with a sweet chili dipping sauce, "tastes like spring"
skinny rice noodles with slivers of carrots, celery, bok choy and green onions. Vegetarian Chow Mi Fen has delicious chunks of fresh mixed veggies while the Chicken version is made with tender, white meat chicken. the best fried rice around - not too greasy, just right! pork fried rice is considered "classic" Chinese restaurant fried rice. CFR is made with tender, white meat chicken. Vegetarian? All entrees can be made with mock duck or tofu.